Exciting news: We will be exhibiting at NPE2018: The Plastics Show, the largest plastics trade show and conference in the Western Hemisphere. And we’re inviting you to be our guest! 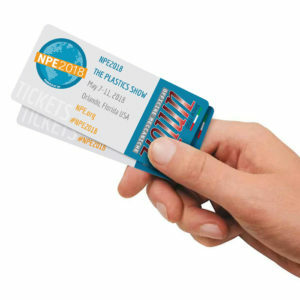 NPE2018 offers huge benefits and opportunities for YOU! That’s why we’re inviting you to attend for free, courtesy of us. We’d like to schedule a time to meet so we can show you our latest new products, and the latest innovation in the extrusion technology. Be sure to stop by our booth, W230-2 we’re happy to discuss your specific business needs and answer any questions at any time.